A commercial chain link fence is one of the most common enclosure types used on business properties and can be found in residential or industrial uses as well. In Toronto, chain link fences are used to secure sports fields, residential yards, back lots, production plants, and anywhere else that is in need of durable, affordable fencing. A chain link fence installation has several key properties that give it an edge when compared to other fencing types that could be used for commercial properties. 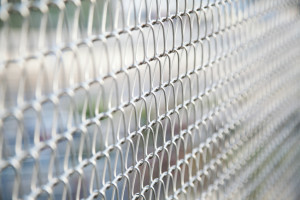 Chain link is a very reliable and sturdy fence material. It is weather resistant to rain, sun, and even hurricane-force winds in some cases. The woven mesh is also flexible and can be customized to allow for differing amounts of “give” in order to better absorb certain forms of impacts. Galvanized steel can even be made corrosion-resistant with certain paint coatings, allowing it to easily withstand exposure to harsh ice and snow conditions. Unlike, say, wooden fences, chain link requires minimal maintenance. Once erected, it takes almost no upkeep beyond an occasional bit of soapy water or a rinse-down with a hose. Chain link fences don’t want to be fussed over—they want to do their job of keeping your property secure. In the event that your chain link fence does suffer damage, repair is a simple matter. All that is required is a new piece of mesh that can be matched over the existing fence to restore the original integrity or, in some cases, even improve it. Your chain link fence company will be more than able to perform this task but it is hassle-free enough that you can do it yourself if you wish. As with any other type of fence, there are different ways a chain link enclosure can be created and customized. Here are some considerations to keep in mind when deciding on the type of chain link fence you want installed on your property. 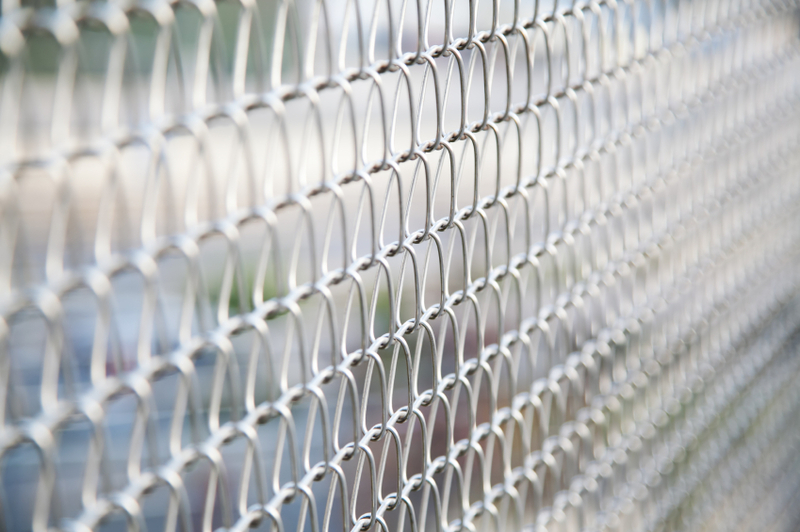 The wire used in chain link mesh comes in three general varieties: galvanized, aluminium, and stainless steel. Galvanized chain link is common on commercial properties and can last up to 12 years without maintenance but is capable of being bent or deformed over time if, for instance, people routinely try to climb it. Aluminium has a lifespan of around 25 years and is much more weather-resistant and lightweight than zinc with a high tensile strength, which makes it more popular for commercial properties. Stainless steel is the most powerful and the most expensive, but it is capable or producing the sort of high-grade enclosures used to surround airports and similar facilities of importance. The gauge is the amount of space between wires and size is the thickness of the wire itself. Smaller gauges and sizes are better when you want to deter trespassers and make it more difficult to climb or bypass. Large gauges and sizes are for providing more “give” and bounce, which is desired in cases like the fence surrounding a tennis court since it has to deal with collisions from balls and/or players. It is possible to add things like iron bars, chicken wire, or barbed wire to a chain link fence in order to enhance its ability to repel trespassing. Please keep in mind that there may be local regulations affecting which security features may be used in public locations. When it comes to chain link fences, Total Fence Inc. has the knowledge, experience, and talented fencing contractors to help you pick out and install the best chain link fence for your commercial property. Contact us at 416-239-5362 to speak with a consultant and learn more.